Own the Nintendo Switch? Check out some of the most promising looking video games slated to launch on the console in 2019. This list will showcase not only the game descriptions but trailers and galleries. We’ll of course update this list with new video game announcements and information so make sure to check back often! Shin Megami Tensei V is currently in development by Atlus and gamers can expect a release on the Nintendo Switch. There are very few details right now in regards to the game though we can still expect the title to take place in present-day Tokyo. Developers have noted that there would be more of a focus on the Nintendo Switch capabilities as a home console along with the ability to take the Nintendo Switch on-the-go. Unfortunately, the finer details such as the narrative and what new elements are set to be present in the game remain to be seen. Unsung Story: Tales of the Guardians was announced via a Kickstarter in 2014, the video game was first revealed to be under development by a studio named Playdek who would be following the creative direction of Yasumi Matsuno. For those unfamiliar with the name, Yasumi was the director behind Final Fantasy Tactics and Vagrant Story. Since the announcement, development studio Little Orbit has taken the reigns of the project with hopes to release the title in 2019. Much like Final Fantasy Tactics and Vagrant Story, Unsung Story: Tales of the Guardians is a tactical role-playing video game that shares the tale of a war-torn history set within a fantasy world known as Rasfalia. Players will be following stories of different heroes that fought in the long war each of which will be featured in their own episode full of gameplay stages. 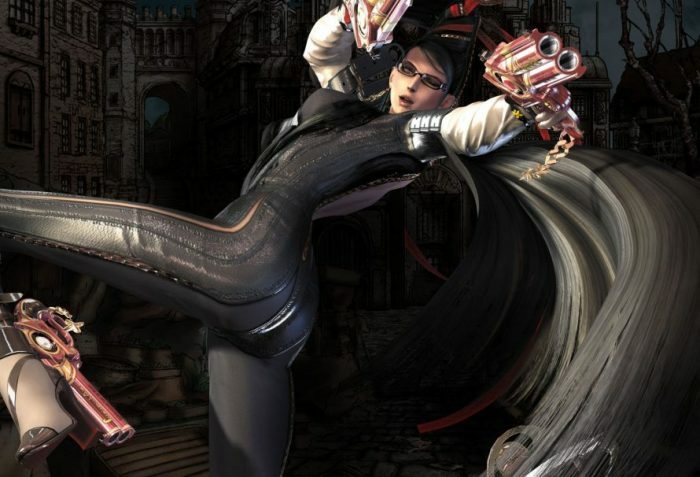 Bayonetta will be receiving a third installment thanks to the success of Bayonetta 2. The video game will likely see the return of the Umbra Witch Bayonetta as she guns down various angels and demons that cross paths. Platinum Games is currently developing the title though we’re still waiting for details on the narrative and what, if any, new changes will be coming our way. However, the action-packed series featuring a tough heroine will likely only get crazier with new insane Bullet Arts moves. During the traditional coming of age ceremony, the world of Lotozetasia learns that you’re actually the reincarnation of an ancient hero. Now with the newly found discovery of your origins, the journey of ridding monsters and saving the world becomes your destiny. As mentioned the game has since been released on PlayStation 4 and Nintendo 3DS within Japan though we’re at least receiving the game localized for the PC and PlayStation 4 this September. Currently, there is no indication as to just when the Nintendo Switch version of the game will be releasing. During the Nintendo Direct video for E3 2017, Nintendo unleashed news that there would be a fourth installment to the Metroid Prime series. Outside of a small logo, there’s not been too many details released for the game. We’re not even positive on who is developing the game as Nintendo tends to keep information pretty secretive until they are ready for an official reveal. We can expect that the game will retain the first-person perspective though we’ll have to keep our eyes peeled for any new information released into the masses. With E3 right around the corner, we’re hoping that the Nintendo Direct will unveil a few fine details such as the game’s release date. Tunche is a 2D beat ‘em up video game that sports hand-drawn art developed by Leap Game Studios. The developers are working on a game that takes inspiration from the Peruvian legend known also as Tunche which is a spirit that hunts down its prey in the jungle. Within the game, players will be able to choose one of four characters as they battle enemy hostiles throughout the jungle. Likewise, the game supports cooperative gameplay so it can make a perfect co-op experience especially due to its roguelike elements. Players will find that they can increase their move sets as they progress throughout the game, however, a loss will result in players starting all the way over again. It doesn’t seem to sport a very long journey for players to go through so if you’re not fond of Roguelikes then you may still want to give this title a try. Currently, the developers are aiming to launch the game early 2019. The next Trials game was unveiled during E3 2018 and its going to be filled with brand new courses along with a wide variety of obstacles to overcome. Within the game players take control of a motorcycle rider as you make insane jumps across platforms while avoiding any potential wrecks. While gameplay remains the same as past installments to the Trials franchise, this will be the first to release on the Nintendo Switch. During Nintendo’s E3 2018 Nintendo Direct video upload we received the announcement of Fire Emblem: Three Houses. Unfortunately, Nintendo didn’t got into any details regarding the game outside of a small trailer which showcases a brutal war. 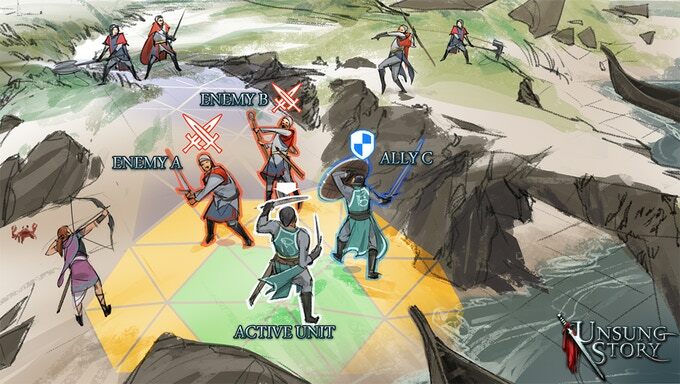 Players will follow Byleth, Edelgard, Dimitri, and Claude in a new tactical RPG journey but for now, we’ll have to wait until more details are announced for the game. A brand new mech game was unveiled for the Nintendo Switch during the Nintendo Direct of E3 2018 called Daemon X Machina. The trailer showcased a cell-shaded style title in which players will be able to customize their mechs before jumping into intense battles. This was another title that only received a small trailer during Nintendo’s E3 Direct video uploaded so we’re left with a few questions regarding what to expect when the title eventually hits store shelves in 2019. However, the bright colorful visuals is definitely something to take note of. Led by former Castlevania series producer, Koji Igarashi, comes the upcoming action-adventure game Bloodstained: Ritual of the Night. The video game is in the style of Metroidvania as you explore, craft new weapons, and of course, find new armor. Luckily, the video game is coming out for a number of different platforms so you should have no trouble getting the chance to enjoy the video game once it launches hopefully sometime this year. Taking part of the No More Heroes franchise, Grasshopper Manufacture is releasing Travis Strikes Again: No More Heroes exclusively on the Nintendo Switch in 2019. With that said, you can expect an over-the-top hack-and-slash experience. Players will find that Travis Strikes Again: No More Heroes will take place seven years after the events of No More Heroes 2 where Badman seeks to take down Travis for murdering his daughter, Bad Girl. During the scuffle, the duo finds themselves trapped in a canceled video game console crated by Dr. Juvenile called the Death Drive MK-II. Stuck in the console, players will have to race through six different video games on the console collecting a Death Ball in order to grant a wish. Rebel Galaxy unfortunately has not released on the Nintendo Switch platform so we’re also curios as to if we’ll see a port of the original title coming in the near future. However, because this game is set as a prequel, you won’t need to play the game in order to understand the narrative. The Luigi’s Mansion series doesn’t have very many installments attached. Outside of its main debut on the Nintendo GameCube, the series only has one other console installment for the Nintendo 3DS called Luigi’s Mansion: Dark Moon. With the franchise, players are put into the role of Luigi who must bust a variety of ghosts and while we knew that the original installment was soon finding a release again in the market for the Nintendo 3DS, it came as a surprise that a third installment was in the works. During a September 2018 Nintendo Direct, Nintendo revealed that Luigi’s Mansion 3 is being developed for the Nintendo Switch. Unfortunately, we didn’t get any details as to what this third installment will entail quite yet, but it’s supposedly coming into the market in 2019. We’re likely going to see some type of Joy-Con motion controller gameplay featured within the game but again, at this point, we’re simply speculating as to what we can expect from the upcoming installment. During the September Nintendo Direct, the video game industry giant unveiled that New Super Mario Bros. would see a new release on the Nintendo Switch. The original New Super Mario Bros video game titles were a hit when they released on the Nintendo DS and the Nintendo Wii. Since the Nintendo Switch is bringing in plenty of new adopters regularly, Nintendo is dusting off their catalog of video game titles available and giving it a new coat of paint along with some additional features. New Super Mario Bros. Deluxe is bringing back the Wii title release for the Nintendo Switch while also adding in two new characters. The new characters are Nabbit who will not take any damage against enemies and Toadette who can transform into Peachette with special abilities such as a double jump or slowly falls. Development studio Game Freak may be best known for their work on the Pokemon franchise but over the years the development studio has delivered other RPG focused games into the market. During the September Nintendo Direct, we got the unveiling of their next big IP release in the development, Town. This is only a working title at the moment and very few details have been released. What we do know so far is that this game will be a Nintendo Switch exclusive in which players are put into an old village that previously lived harmoniously. That suddenly changed when the village started to spawn monsters for players to defeat. As players go through this turn-based combat RPG title they’ll learn of the reason behind the sudden appearance of monsters in the town. Yoshi’s Crafted World was teased for a short while now and it appears that we’re going to see this game release into the market for the Nintendo Switch within the Spring season of 2019. For those unfamiliar with the game, this is a brand new Yoshi title that still contains the side-scrolling platforming gameplay that the franchise is known for. Similar to the Paper Mario series, Yoshi’s Crafted World will see our favorite dinosaur fighting off Shy Guys and other hostilities in a construction paper style world. Within this game, players will still have to swallow enemies and turn them to eggs in order to destroy them but there’s one slight unique twist into this installment. This game will have players go through levels twice where Yoshi can flip the level world around revealing a whole different side full of other puzzles and collectibles that were previously unavailable or only capable of being solved by viewing the level from a particular viewpoint. During the September 2018 Nintendo Direct the video game industry giant unveiled a few 3DS and Nintendo Switch video games that were in the works for 2019. However, like other Nintendo Directs, the company unveiled one final game in a short tease leaving us wondering as to what we can expect for another presentation at a later date. The final tease during the Nintendo Direct was the unveiling of a new Animal Crossing video game which will be a Nintendo Switch exclusive. Unfortunately, as mentioned, Nintendo didn’t unveil any new information other than that the development studio is actively working on a brand new Animal Crossing installment for the Nintendo Switch. The Phoenix Wright: Ace Attorney video game franchise has been around for a number of years now and it’s grown to be quite popular. Overall, the game follows Phoenix Wright, a rookie defense attorney, who goes through various crimes to locate clues to use within the court trial. Overall, you can consider the game more of a visual novel with puzzles throughout. Despite the first game first releasing into Japanese markets in 2001, gamers will soon once again get the game in a new compilation release. Capcom is putting out Phoenix Wright: Ace Attorney Trilogy on PC, PlayStation 4 and Xbox One platforms sometime in 2019. In a surprise announcement from Nintendo during the February Nintendo Direct upload, gamers were unveiled that The Legend of Zelda: Link’s Awakening will make a return. After years of waiting Nintendo is currently remaking the title for the Nintendo Switch and it already has a few brief gameplay footage tidbits in the announcement trailer. We see that Nintendo is keeping with the top-down view with a more cartoonish visual aesthetic. Likewise, there are liked some new gameplay mechanics and adjustments to suit the Nintendo Switch power when compared to the original Game Boy release. Regardless, the title didn’t get too many details in regards to what gamers can expect but we do know that Nintendo is hoping to bring the game out sometime this year. If you enjoyed the works development team Platinum Games has been delivering over the past few years then you’ll want to keep tabs on Astral Chain. During February’s Nintendo Direct we were shown off this new video game title which definitely has the same vibe and action-packed gameplay that is found in the Bayonetta series. We don’t know what exactly the story will be about yet, from the announcement trailer we see two police officers teaming up and taking down some large beasts through means of various chains and weaponry. Unfortunately, that’s all we really got from Nintendo at the current moment, but we do know that this title will be coming out on August 30, 2019, so more information will likely come out during this year’s E3 expo event. Mortal Kombat is a staple to the fighting genre with so many titles flooding the market across generations of platforms. In a surprise reveal at The Game Awards 2018 we got our first announcement that developers over at NetherRealm Studios are working on the eleventh main installment to the Mortal Kombat franchise. We don’t know very much at all regarding this game other than what was shown off during the first reveal trailer. Within the trailer we saw Scorpion and Raiden battling and it looks like there will be some time element at play when a female character was shown next to a reverse flowing hourglass. For those who pre-order the game, you will receive access to Shao Kahn as a bonus character but we imagine that the developers have character packs readily available throughout the game’s launch serving as additional past Mortal Kombat characters to other franchise crossovers much like their previous release, Mortal Kombat X. What is most notable about the game for the Nintendo Switch platform is that the game is coming out on the Nintendo Switch in general. This isn’t the first mature rated video game to launch on the latest Nintendo hybrid console but the title does help show gamers that the Nintendo Switch is a game that will receive new third-party triple AAA video game titles. There are several fun little racing games but when it comes to kart racers, most would recognize the Mario Kart series. Back during the days of the original PlayStation, there was another kart racer that easily caused some competition towards the Nintendo kart racing exclusive. Based off the popular Crash Bandicoot franchise, developers Naughty Dog offered gamers a chance to take the cast of characters in a kart racer that proved to be an excellent title. Now gamers can relive the experiences they had originally but with the latest platforms. Crash Team Racing Nitro-Fueled is a remaster of the Crash Team Racing video game which will be built up with new assets along with new content such as tracks, kart customization and online play. This game was announced during The Game Awards so we don’t have a plethora of information about it right now, especially during the coverage of this article, but we imagine there won’t be anything too drastically different from when the game first released. It’s been a number of years now since we have received a new installment to the Marvel Ultimate Alliance video game franchise but during The Game Awards 2018 we were surprised by the third installment announcement. Though what may be most surprising is that this upcoming video game will be exclusive to the Nintendo Switch. Regardless, the upcoming title will take place after the events of Marvel Ultimate Alliance 2 with the main antagonist duo being Galactus and Thanos. We’re still relatively left in the dark as to what all we can expect from the game, but we do know that Marvel’s heroes along with The Masters of Evil are in a grand battle against Galactus in order to save earth. After previously getting its start on the last generation Nintendo Wii U and Nintendo 3DS systems, Nintendo was proud to announce a much-desired sequel to Super Mario Maker. The announcement came during February’s Nintendo Direct where we got a look at the new setup and tools that players will have access to when creating custom Super Mario levels. This trailer didn’t get into the fine details as to what all has changed but Nintendo did confirm that there will be a few new features along with elements for the title when it’s set to release in June of this year. For those of you who may not be aware of what Super Mario Maker was we’ll give a quick recap. Super Mario Maker is a video game in which players are given the tools to create their own custom Super Mario levels. Hellblade is a hack-and-slash title described as an independent AAA video game from Ninja Theory because of the game being developed by a small indie studio though with the level of detail expected from a major AAA video game release. The story of Hellblade follows a Celtic warrior named Senua as she travels through Hell. However, this Hell Senua is seeing is through her own psychotic manifestations because of her mental illnesses. Senua suffers from hallucinations, delusions, anxiety, and depression. Because of these illnesses, our protagonist must embark on a very personal journey, one that Ninja Theory took the utmost care to assure it’s accurate and sensitive. This is also a video game title that has already released on a variety of platforms but Nintendo Switch gamers will receive the game this year. The Assassin’s Creed franchise has been around for years and over those years we’ve seen Ubisoft take on different eras and moments of great importance in a variety of nations. With Assassin’s Creed III, Ubisoft decided to try the history of The United State of America though more specifically, the American Revolution. Players will follow Desmond, a half-English, half-Mohawk ancestor and most recently, an Assassin. It quickly becomes a narrative journey and task to find a Templar known as Connor who has started to gain control of the colonies and much like the previous Assassin’s Creed titles are known for, this third installment will feature a variety of iconic characters from history such as Benjamin Franklin and Paul Revere. This title may have been out since 2012 but it remains a popular installment from the entire franchise. Now that the game will soon be available for the Nintendo Switch newcomers along with fans who simply wish to enjoy the game again will not only have access to the base game but the previously released DLC that launched shortly after. If you played and enjoyed Friday The 13th: The Game then you’ll enjoy Dead by Daylight. This video game was developed by Behavior Interactive and previously released on PC, PS4 and Xbox One consoles. For the most part, players are in a 1v4 game where four players are left in a hurry to escape a killer that’s loose on the map. The group must work together and attempt to elude the killer despite having the odds against them. There are also a handful of different cinematic killers featured within the game such as villains from the Halloween, The Texas Chainsaw Massacre, A Nightmare on Elm Street, along with Saw franchises. Overall, the game has had a mixed reception online with critics but if you have yet to enjoy the title, a Nintendo Switch port will finally make its way to the platform later this year. While we may not get the Grand Theft Auto franchise on the platform, it looks like Saints Row will be making an appearance. Saints Row: The Third released all the way back in 2011 but this over-the-top wacky open world action-adventure video game will find its way onto the Nintendo Switch in May of 2019. If you didn’t enjoy the game originally, the story will follow a gang known as the Third Street Saints in a massive turf war. This is a third-person open world title that is a bit similar to the Grand Theft Auto franchise but definitely more out of control and comedic. With The Full Package release, players will receive not only the base game but all of the previously released DLC that came out for the video game.